There are several reasons why the New Wines of Greece have emerged on the global wine scene in the past fifteen years and not before. The modern wine consumer is nowadays more receptive to the message conveyed by these wines. It is not just a matter of their quality, but a matter of dynamics, trends, balances and imbalances throughout the global wine market. Greece is now able to offer unique and far more competitive wines, that, at the same time, make more sense in today’s marketplace. The rise in quality, the improving standards of production and accumulated know-how are just half the story of the New Wines of Greece. It is a fact that over the last two decades, numerous countries or new regions in established wine-producing countries can produce an impressive track record of improvements in quality. Freely available knowledge suggests that good quality no longer suffices. In the ’80s and, to a certain degree, the ’90s, quality was frequently perceived as the lack of winemaking faults, but the current standards and customer expectations are now higher than ever. The wide availability of technology and know-how may have pushed average quality higher, but, at the same time, they have increased uniformity across the spectrum of styles. Key wine personalities are commenting on the growing internationalisation of wines and the degree of homogeneity. The shelves of retail shops and restaurant wine lists may occasionally offer a wide selection of provenance, but when wines are judged by what is in the glass, sameness prevails. Another illustrative point is the predominance of a small number of varietals. Journalists and top sommeliers were swift to spot this development and came forward asking for fresh proposals, new varieties or new wine-producing regions, stating that the point is not just buying a different grape variety, but being able to taste the difference in the glass. Greece has a fantastic arsenal of indigenous varieties with which to compete in the current marketplace. Most of them are full of distinctive, unconventional character. Oenological practices tend to highlight rather than mute these qualities and they do so for very precise reasons. As far as wine consumption is concerned, Greece is a very mature market, having wine as a major part of the national life style. Wine was not imposed on Greeks as a marketing initiative. Greeks are very set in their ways. They consume wine on certain occasions and enjoy specific styles: flavourful, though refreshing, and light. Greek wine producers, largely reliant on their national market, have to make wines that cater to this preference. This individuality might have seemed out of place in the global context of past decades. Nevertheless, it is becoming more apparent that the international scene might be willing to take a closer look at the New Wines of Greece and the concepts behind them. The personality of these wines may very well be defined by their food friendliness. Greeks will never have a glass of wine without a small nibble on the side and, at the same time, having a meal without a glass of wine is completely out of question. Many modern styles of wines from several countries are made to be showstoppers – actually a whole meal in themselves. These might seem impressive at first sip, but getting through a second glass is usually difficult. Another factor is alcohol levels. There is a global trend towards higher alcohol levels in wine, meaning 14% or much higher, leading to a flabby, hot and heavy character. In sharp contrast, Greeks make wines with moderate levels of alcohol that will complement the food rather than dominate the palate. The synergy between food and wine, the 1+1=3 trick, is a prerequisite. The New Wines of Greece achieve this by their sheer elegance, their texture, the ability to refresh one’s palate and their complex, deep, but never overblown, flavour profiles. Food-friendliness, a moderate level of alcohol and utter drinkability are becoming of paramount importance and this is exactly what Greeks have been expecting from a decent glass of wine for centuries. Ultimately, these are the reasons the New Wines of Greece can be an impeccable match to virtually all cuisines around the world and not just Greek food. Another interesting example of the way the Greek wine-producing culture has become more relevant on the international level is the current “hunt for terroir”. A grape variety can be planted almost anywhere in the world, but a wine conveying a “sense of place” is, by definition, anchored and unique. The great wines of the 21st century must display, through their aromas and taste, that they come from “somewhere”, rather than “anywhere”. 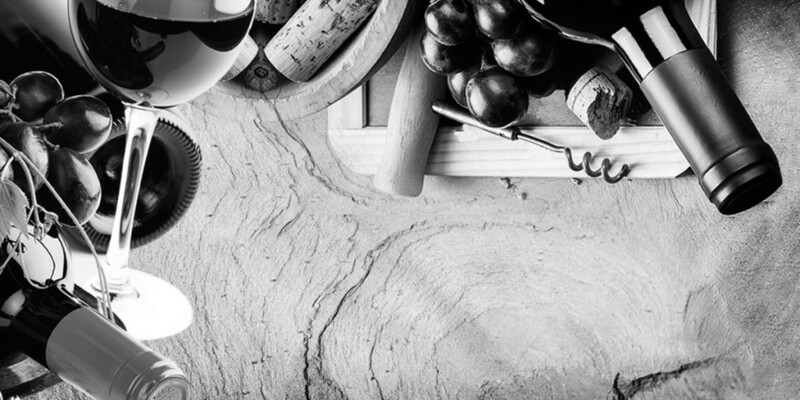 Although the very notion of terroir is much disputed by numerous top wine authorities worldwide, there are two major prerequisites in producing true terroir wines aside from marketing-driven tactics. The first is having enough time available, over generations, to truly grasp a specific terroir. The second prerequisite is small-scale production patterns. The New Wines of Greece successfully fulfil both requirements. Greek wine production has always been on a human, artisanal scale, by people “conversing with their land”. Furthermore, they have been cultivating their vineyards long enough to fully grasp the potential of their terroirs. Greece boasts an amazing array of distinctive, distinct and unique terroirs, while Greek producers understand that “terroir-driven” wines are what will make them stand apart. Terroir wines, the Holy Grail of many connoisseurs, are what come naturally to Greece. Another aspect that reinforces the unique proposal of the New Wines of Greece is their excellent value. They will never be cheap –cheap enough to compete at the bottom end of the market– but their top quality makes them an outstanding value-for-money proposal. There is a large number of Greek wines that, if produced in other more established countries, would certainly cost twice or three times as much as they do today. In many markets, numerous wines fetch very high prices, but it is their image and marketing strategy that allow these prices to be viable for some time, not their quality. However, Greek wine producers are closely linked with the Greek market, a fact that obliges them on most occasions to be more down-to-earth in their pricing policies. Every dollar, pound or euro spent on the New Wines of Greece guarantees more character, more individuality and quality per glass consumed. Over the next twenty years, standing out in the world of wine will be far more important than being just good or very good. This necessity will permeate the whole global wine industry, from the vine grower to the oenologist, from the wine trader down to the consumer. The New Wines of Greece provide an exciting and exceptional option for those willing to explore beyond the commonplace.